Jilla Rozgaar Kacheri & ITI Himatnagar Published Rozgaar & Apprentice Bharti Mela Notification 2018. 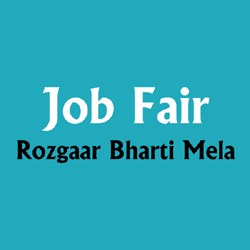 View More Information Related to Rozgaar & Apprentice Bharti Mela such as Posts Name, Qualification, Bharti Mela Date, Bharti Mela Address etc. are Given Below. Educational Qualification : S.S.C. / H.S.C. / I.T.I. / Diploma / Any Graduate & Below SSC & Other Professional Qualification. Rozgaar Bharti Mela Address : Government Polytechnic Collage, Gadhoda Road, Motipura, Himatnagar. Dist. Sabarkantha.